Sony started small with the E-series and hasn't tried anything crazy since but the entry-level lineup is in its fourth generation now and offering quite a bit of choice to the budget-conscious buyer. Of course, everything you get in this price range requires a certain trade-off. The Xperia E4 is a simple and affordable package that gives up the LTE connectivity of the predecessor but offers a 5" screen in return. The resolution gets a welcome though inexpensive boost and the best thing is that nearly all the extra screen real estate comes at the expense of bezel in the Xperia E3. The downside is the Xperia E4 is quite chubby at 10.5mm, tangibly thicker than the E3. Well, at 130 euro or practically free on contract, this may not be a big deal. Here's what else you get. The Xperia E4 is powered by a MediaTek MT6582 chipset with four Cortex-A7 cores, clocked at 1.3GHz and a Mali-400MP2 GPU, and comes with 1GB of RAM. This is essentially a mid-range chip form a generation ago and its age is starting to show. That said, anything above 540 x 960 pixels would've been quite a burden for the CPU. The goal was obviously for the Xperia E4 to not feel as a downgrade. The qHD five-incher has the same ppi as the 4.5" FWVGA screen of the Xperia E3. Speaking of, the camera setup is nothing special with 5MP stills and 1080p video on the main unit, but the 2MP/720p selfie cam is a welcome improvement over the VGA front-facer of the Xperia E3. You do get double the storage out of the box at 8GB. There's a microSD card slot too, of course. The Xperia E4 will be available globally, perhaps its single-SIM and dual-SIM versions targeting different markets. We spotted the LTE-capable Xperia E4g at the MWC, trading off - there we go again - some screen diagonal for fast network data. That one too has a dual-SIM option. All of them are entry-level offerings, meaning the competition may range from Android One phones in emerging markets to Meizu's and Xiaomi's in both Asia and Europe. 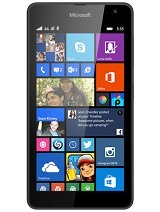 Sony's most important target however is probably Microsoft's entry-level lineup, the likes of the Lumia 535. Design-wise, the _phone_ bears a lot of signature Sony elements, but does not offer anything special in the way of materials and is kind of bulky. It runs Android 4.4.4 out of the box, contrary to previous rumors of Lollipop. Sony recently made it clear that focus will be on the Z-series, leaving any other unlucky lineups stuck on KitKat for the time being. Well, the Xperia E4 doesn't have to wait for us. We are ready to unbox it and see what happens next. The Sony Xperia E4 retail package is about as basic as they gets. It is a plain one-piece box that only opens on the side, much like a generic container. The insides are kind of cluttered making it near impossible to put everything back in place and comfortably close the box. What you get with the low-cost Xperia E4 is nothing out of the ordinary: a very short but quite sturdy micro USB cable, a standard headset with a built-in mic, as well as an A/C adapter. There is really nothing special about the Xperia E4's look and build. The _phone_ is unmistakably a Sony device, never mind it was clearly built to a budget. A fact's a fact though - the E4 is chunky and plasticky all-around. It measures 137 x 74.6 x 10.5mm and is not particularly light either at 144g. The back cover oddly looks too big and shaped more like a bumper case, almost like it doesn't belong and was borrowed from another device. Other than that, Sony has really done the best it could with the available materials. The body feels nice to the touch and the plastic does not look cheap in any way. The E4 is available in two colors: white and black. The five-inch Sony Xperia E4 feels comfortable enough in the hand and also quite sturdy. There are no apparent build quality blunders, everything is nicely put together with no cracks or rough edges. The back cover is kind of hard to remove, but this will only be a problem if you frequently change SIM and memory cards. The cover is removable to grant access the SIM and SD cards so a non-replaceable battery makes little sense in a phone that's not IP-certified or waterproofed. Perhaps it's cheaper to manufacture this way. 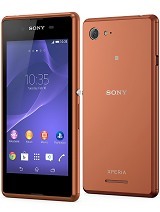 The Sony Xperia E4 comes equipped with a 5.0-inch display, which at 540 x 960 pixels has the same ppi as the 4.5" FWVGA display of the Xperia E3. The good thing is Sony managed to slim down some bezel for an adequate screen-to-body ratio of 67.4%. Above the screen, the earpiece is barely visible, cleverly concealed very close to the top edge, in a very Sony-like manner. The 2MP front-facing camera is slightly off to the left, with a nice silver frame. The phone does not feature any physical buttons, so the area below the display is mostly empty, except for the mouthpiece. Going round the device, we find the left side housing only a microUSB port - the card slots are hidden underneath the back-cover: one or two micro SIM compartments (depending on the model) and a microSD slot. There is also a hardware reset pinhole, to help get out of tricky situations without access to the battery. The right-hand side is equally minimalist. There is the signature round Power/Lock button and, below it, a slim volume rocker. The 3.5mm headphone jack is placed on the top of the device near the left corner. The bottom of the Xperia E4 is completely empty, except for a small eyelet in the left corner. We were quite happy to discover that it lets you attach a lanyard, just like the old times. Around back, we find the 5MP camera lens and a single LED flash right next to it. Near the bottom, right beneath the etched Xperia logo, there's a small speaker grille. A rear speaker can get easily muffled if the phone's lying flat on its back and Sony has taken no precautions against it. But that's perhaps nitpicking. The Sony Xperia E4 is equipped with a pretty plain IPS LCD panel with a resolution of 540 x 960 pixels on a 5-inch diagonal. The resulting 220ppi is nothing special but probably just right for the price range. It's not the resolution though that we're worried about. The thing that really ruins the experience is the plastic screen coating, which is very reflective. While taking the microscopic photo, we had a very hard time focusing to get all three colors right. The distortion is most probably the reason why the display appears constantly blurry. Screen colors are otherwise good enough but the reflective coating ruins the experience as a whole. The only bright side to it (pun intended) are the side viewing angles, which are quite ok despite the bad front glass. The display did quite poorly in our brightness and contrast tests. 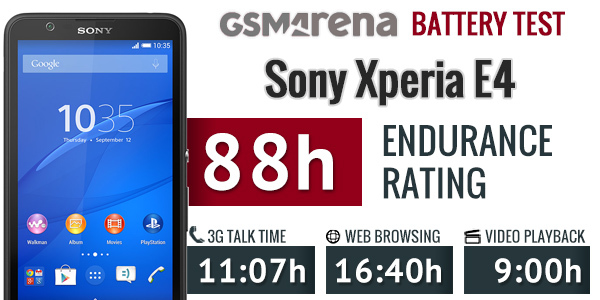 It scored surprisingly low in both and was even surpassed by its predecessor - the Xperia E3. Using the phone outdoors under direct sunlight is by no means comfortable. Sony has put a 2,300mAh battery inside the Xperia E4. We ran our battery test with the battery-saving STAMINA mode off. The handset scored a solid 88 hours, which means you can count on about 3 and a half days if you do an hour each of calls, web browsing and video playback a day. The battery is not user-removable, even though the general design of the phone suggests otherwise. The Power Saver - now part of the settings menu - helps you extend your battery life by toggling things like Wi-Fi, GPS, Bluetooth screen brightness, auto sync and background data on and off automatically, as soon as the battery charge falls below a certain user-defined threshold. You can also choose to automatically turn Wi-Fi off if there is no known Wi-Fi network in range or switch off mobile data when the screen is off, and more. The Sony Xperia E4 comes in single and dual SIM flavors. Both models offer quad-band GSM/GPRS/EDGE support and dual or tri-band 3G connectivity with HSDPA. LTE support is only available on the Xperia E4g, which is a different phone altogether. Local connectivity features single-band Wi-Fi b/g/n and Wi-Fi Direct. There is also support for Bluetooth 4.1 with A2DP and apt-X. Satellite navigation is limited to GPS with no GLONASS support. The Xperia E4 also has an FM radio with RDS. It doesn't offer NFC or an IR port. There is a microUSB 2.0 port for charging and data connections. Media transfer mode is supported for accessing the phone's built-in memory and microSD card over the USB cable. The microUSB port doesn't have any TV-out functionality, but if you own a compatible HDTV, you can output your phone's screen wirelessly via the Miracast protocol or Sony's Xperia Connectivity Throw option. The Sony Xperia E4 comes with Android 4.4.4 KitKat out of the box. The launcher looks identical to what you would see on any other KitKat Xperia smartphone, like the Xperia C3, which we recently reviewed. If you aren't familiar with it, you can check out this quick video below to get you up to speed. The app drawer is laid out across multiple pages and you can sort the apps in various ways. The settings for that are accessible via a swipe from the left edge of the screen and you can also search and even uninstall apps from there, as well as download new ones. The Xperia E4 uses the stock Android task manager that lets you switch between the recently opened apps, as well as terminate any of them with a side-swipe. The so-called "small apps" are also available in the Xperia E4 and are accessible via the task manager. They are similar to Samsung's Mini Apps, and pop up tiny widget-like applications on your homescreen, which you can move around and use without having to open the full-fledged app. So far, there's a default set of seven of those available: Active Clip, Chrome Bookmarks, Browser, Calculator, Calendar, Gmail, Timer. Interestingly enough, a previous Xperia we reviewed had an additional two - Notes and Recorder, which are missing on the E4. The built-in 8GB (about 4.8 of which are user accessible) of storage gets filled up pretty quickly and the Xperia E4 needed a microSD card to help carry the load. The Sony Xperia E4 is definitely not a powerhouse and nobody really expects a lot of number-crunching performance out of a budget device. It is powered by a Mediatek MT6582 SoC, which can be considered last year's mid-range at best. Inside it, there are four Cortex-A7 cores, clocked at 1.3GHz and a Mali-400MP2 GPU. That coupled with merely 1GB of RAM paints not so optimistic picture. That being said, we will try not to be too harsh on the E4 when diving into its benchmark results. It comes as no surprise that they are low, but we have picked out some quite interesting competition to pin it up against and the results were often surprising. First up, we have the raw CPU performance test with GeekBench 3, so things should be pretty straightforward in this department. As we mentioned, we have devised a budget league for the Xperia to wrestle in and the MT6582 really holds its own. Here we see the E4 has shown more muscle than the Moto G and Moto G (2014), both running the Qualcomm MSM8226 Snapdragon 400. This is quite understandable, as the once widely-spread SoC is also equipped with four Cortex-A7 chips, but clocked slightly lower at 1.2 GHz. 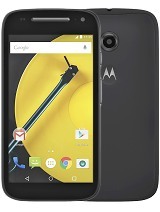 The situation is even clearer with the Moto E, which shares the same cores, but only has two of them. Interestingly enough, Sony has two other, quite similar Snapdragon 400 phones, both powered by four Cortex-A7 cores - the Xperia E3 and the Xperia M2. Both are in pretty much the same price range as the E4 and one is even its direct predecessor. AnTuTu is a compound benchmark, which also takes into account RAM and GPU performance. Here we see pretty much the same arrangement. The Xperia beats the two Moto G's and its predecessor, but is also dwarfed by the Xiaomi Redmi 1S and the Samsung Galaxy Core Prime. The Xiaomi ha, rather surprisingly, scored significantly higher that the E4, despite having an HD screen and a quad-core Cortex-A7-based CPU. It, however is clocked higher and 1.6 GHZ. Otherwise, RAM is the same at 1GB. The Galaxy Core Prime is a different story. It is equipped with a superior Qualcomm MSM8916 Snapdragon 410, along with an Adreno 306 GPU, so naturally it takes the lead amongst the competition. Basemark OS II is another all-round benchmark. 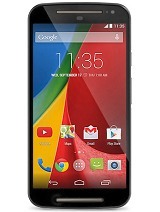 It gives an overall score along with single, multi-core performance, math performance and more. We focus on the overall score and the dedicated CPU scores. Interestingly enough, the E4 scored lower than its predecessor, the E3, so there might sill be some room for tweaking and software improvements on Sony's end. Then again, the handset does feature a lot more services, out of the box, so the increased background load, may account for some of the benchmark issues. This theory is further backed up by the detailed single-core and multi-core result. In both instances the MT6582 shows some muscle. In fact, the multi-core score seemed so odd, that we thought there might have been some cheating on Sony's end, but running a tailored version of the same test, to prevent common cheating technique, revealed that the processors in the X4 does, in fact, perform very well. Interestingly enough, however, the Xperia E3 seems to persistently outperform a lot of the competition, including its successor, which is quite odd, but the reasons could be numerous, ranging from increased system software load to poor optimization. And, at the end of the day, there is always a room for error with standardized tests and a higher score does not necessarily translate into better real life performance. Moving on to pure graphics tests, the Xperia E4 really seems to lack behind. The Mali-400MP2 is really not up to par and gets blown away by the competition. 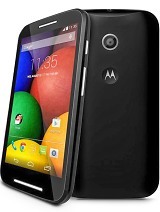 As it turns out, all of the other contenders in the test are powered by some implementation of the Adreno 305, except for the Moto E, which runs the Adreno 302. Utilization by the respective SoCs is obviously quite different, resulting in significantly different results. One thing is for sure, though, the Mali-400MP2 was a really poor choice for a graphics processor and it is a shame Sony didn't just stick with the Adreno used in the E3. In fact the Mali was so bad, that it was incapable of running the GFX 3.0 Manhattan test, most-likely due to insufficient memory. The small screen resolution on the Xperia E4 does help to some extent in the onscreen render, but it is not nearly enough to compensate. The Xperia E4 did surprisingly well in the browser performance tests. 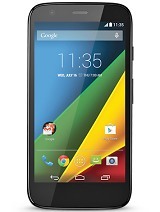 Google Chrome is the browser, Sony has bundled with the budget phone and is surely attributes a lot to the high scores. Interestingly enough, though, the E3, yet again, surpasses its successor, which you really don't want to see in a new smartphone. One thing is clear, the Sony Xperia E4 isn't acing any benchmarks. On the contrary - its raw performance is average at best, barely touching some of its competitors. On a positive note - the synthetic benchmark performance may not be a complete measure for the device performance as in real-life use we found it to operate quite well. It provides solid and smooth Android experience and will do OK for the occasional game. Unfortunately, heavier 3D games may not run well or at all because of insufficient RAM and poor GPU or both. Sony has rather oddly opted to combine a capable CPU with a very underperforming GPU, often leaving the Xperia E4 at a disadvantage compared to even the Xperia E3. The reality, however, is that being a budget device, the Xperia E4 is quite ok at what it does. And if you don't intend to use it for more than web browsing, watching the occasional video, listening to music, or playing some Angry Birds, and, of course, messaging and calls, then you'd be good for quite a while. The Sony Xperia E4 phonebook is integrated with the dialer using a tabbed interface - the Contacts, Phone, Favorites and Groups tabs can be side-swiped. The contact list has a dedicated search filed plus it offers a very nicely animated alphabetical scroll bar. If you are using two SIM cards, every time you want to make a call you'll be asked to choose which SIM card to use. Linking contacts is available, the quick contact feature is here too. The Sony Xperia E4 was able to hold onto signal very well. Calls remained uninterrupted and the sound quality was okay. Voices came out loud enough. Clarity wasn't the best but it was okay nonetheless. The loudspeaker on the Sony Xperia E4 however is rather disappointing. We ran it through our tests numerous times and it still scored only Below Average. Sony has preloaded a number of features that modify how the speaker sounds. We tested them all, but except for the proprietary xLOUD, the rest made the speaker even quitter. There are three main sound options in the E4 that work across the whole system - xLOUD, Clear Phase and Clear Audio+. From what we could make out, xLOUD, naturally makes the speaker louder, while Clear Phase improves audio quality, but significantly lowers volume. Clear Audio + seems to be a combination of the two and works pretty well, but still only goes so far. Bear in mind that the position of the speaker, as already mentioned, makes it very easy to cover and muffle. This, combined with the below average loudness means that you should be cautious when leaving the phone on a flat surface, as you can easily miss a call. As for text input, the Xperia E4 offers a customizable on-screen full QWERTY keyboard. You can choose a different layout (keypad, QWERTY, QWERTY with extra symbols), add/remove the coma and period button, the smiley and voice input buttons and also enable things like bilingual word suggestions if you have more than one language enabled. Different keyboard skins are available too. We should all be familiar with Sony's custom gallery - Album. It organizes images into groups of thumbnails and sorts them by date. You can change the thumbnails size by pinching. Unlike previous versions there isn't a homepage that hosts all of your albums, instead you get the same navigation drawer as the app drawer is offering. There you can find a selector of all of your online and offline albums. Images can be cropped or rotated directly in the gallery. Quick sharing via Picasa, Email apps, Facebook, Bluetooth or MMS is also available. The Walkman music player is part of the equipment of all recent Xperia smartphones. It features Music Unlimited integration and is not above trying to sell you songs, but you can hide the Music Unlimited stuff. The Walkman interface is based on a hidden swipe-able menu that sort your music collection by Artist, Albums, Playlists, all songs and even the songs your friends are listening to (but you need to connect the player to your Facebook account). You can pop up the menu the same way you'd do it in the app drawer or the gallery - just swipe from the left edge of the screen. The Walkman player offers a variety of audio settings - ClearAudio+ option is here, which determines the best audio quality settings depending on the song you're listening to. We liked how it changed the music and carefully accentuated various details. Dynamic normalizer evens out the differences in the volume between tracks, which is great if you've mixed multiple albums from multiple sources. The Sound enhancements contain yet more settings. There's an equalizer with presets and manual settings (including tweaking Clear Bass). Then there's Surround sound mode, which imitates the Studio, Club or Concert Hall experience. The Clear stereo mode enhances the perceivable stereo channel separation. The Dynamic normalizer minimizes the difference in volume between songs (great if you're playing a shuffled mix). Speaker settings include Clear Phase, which adjusts the quality, while xLOUD boosts up the internal speaker. Both can be balanced simultaneously through Clear Audio + for best results. There's also an FM Radio. The app features multiple visualizations and integrates with TrackID to recognize the currently playing song. You can even directly send an "I'm listening to..." post to Facebook. The interface is very intuitive and complete with stunning animations. Possibly one of the best FM radio apps out there. Unfortunately, this doesn't work very well for TV shows - it doesn't recognize the S01E02 naming convention and it won't pull info about individual episodes. 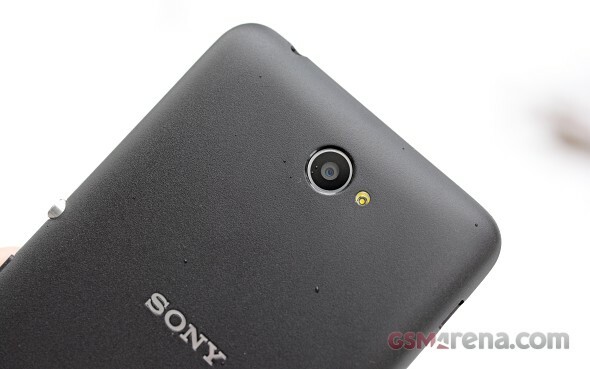 The Sony Xperia E4 was able to handle videos up to 1080p resolution. It had issues with the AC-3 audio codec and failed to load sound in videos carrying it but that's mostly normal for smartphones these days. MKV movies went through, but without sound because of their AC-3 audio codec. The video player comes with subtitle support by default, the only requirement is both file names (video and subtitles) to be identical. Unfortunately, we couldn't perform our audio output quality test on the Xperia E4 unit, which we had for review. It's certainly not an issue with the smartphone, but perhaps a mere technical issue. 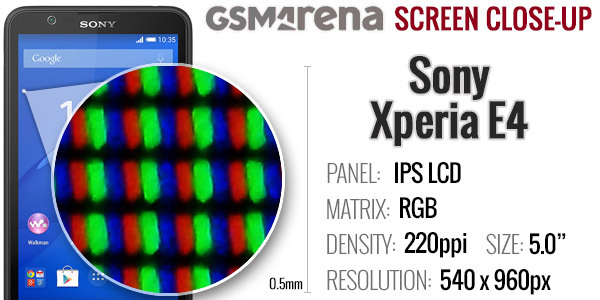 The Sony Xperia E4's camera uses a 5MP camera sensor - a resolution, which sounds quite outdated. It shoots with a maximum resolution of 2560 x 1920 pixels (5MP) in manual and Superior Auto modes. There is also a LED flash to help you with some low-light photos. Manual and Superior Auto aside, the Xperia E4 offers several other interesting shooting modes. Samples, taken with the Xperia E4 came out with underwhelming level of resolved detail when viewed at 1:1 magnification. The exposure, contrast and colors are good, which makes for nice looking photos when you view them fitted within your screen. The HDR mode is a bit hard to find, but it is present on the Sony Xperia E4. You need to go to Manual mode first, then in the Scenes Menu and then you should select Backlight Correction (HDR). The HDR mode is conservative and rescues both the highlights and shadows without going to extremes. We've also snapped two photos with the front 2MP snapper. Unfortunately, the detail is also on the low side. However, image quality was surprisingly good for the tiny 2MP sensor. The Sony Xperia E4 is capable of capturing 1080p video at 30fps, which certainly is not as outdated as the still camera resolution. The camcorder shares the same UI as the still camera, unless you go into manual mode. For videos the Xperia E4 features digital image stabilization, but there's a price to pay - the field of view (FoV) is reduced (it's how all digital stabilization systems work). The phone is smart enough to detect whether you are shooting hand-held or you have rested it on something stable but you get the reduced FoV either way if the option is turned on. The Sony Xperia E4's 1080p video samples are nothing to rave about, but they are still better than the still images. The resolved detail is better, the noise reduction isn't as destructive and there is very little noise. The frame rate is around 29 fps, while the bitrate is good at 16-17Mbps with stereo sound recording with a bitrate of 128 Kbps and 48 kHz audio sampling rate. Rather surprisingly, autofocus was pretty laid back unlike most other Xperia phones we have reviewed and hardly hunted for focus while video recording. And here is an untouched 1080p@30fps video sample (10s, 20MB) for you to download. The Sony Xperia E4 captures mediocre 1080p videos. It manages to resolve good detail in our resolution chart test and under good light conditions, but there is lots of noise and artefacts when shooting in low-light rooms. The Sony Xperia E4 comes with Google Chrome as the default web browser out of box instead of the generic Android browser. While the minimalist interface hasn't changed since Chrome launched on Android, the browser is being constantly refined by Google, and this has resulted in one of the smoothest and most powerful browsing experiences we've encountered on a mobile. Sony Xperia E4 also features the Office Suite 8, which allows for creating, viewing and editing office files (docs, xls, ppt), and it can also read PDFs. Other preinstalled apps on the Sony Xperia E4, which deserve mentioning, include a dedicated PlayStation app, which allows remote management of a PS4 console. Alongside it, there is the Xperia Lounge - a sort of custom-tailored deal and promotion aggregator. It gives users the opportunity to participate in various Sony promotions and win prizes. Another interesting little feature is PartyShare. It lets you turn the E4 into a multimedia HUB, so you can centralize content, like music and photos on a single device and control it from other nearby, locally connected phones. You bet Google Maps and Navigation are also part of the app package to utilize the built-in GPS receiver (sadly lacking GLONASS support). Offline maps are available, again, since the last update, so you can save some data traffic too. There is really nothing special about the Xperia E4's look and build. 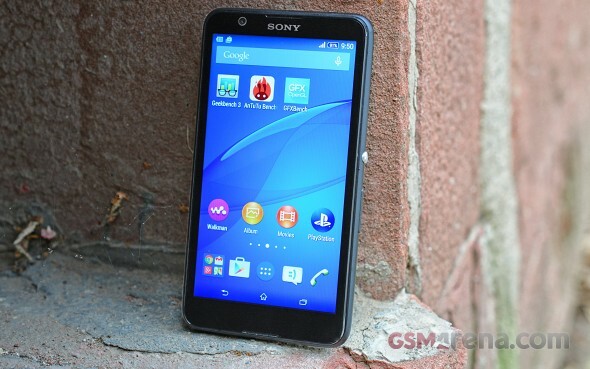 The phone is unmistakably a Sony device, never mind it was clearly built to a budget.